In South of France , a house full of charm in a delightful setting with large capacity. 8 very confortable bedrooms with private bathrooms , big private swimming-pool . 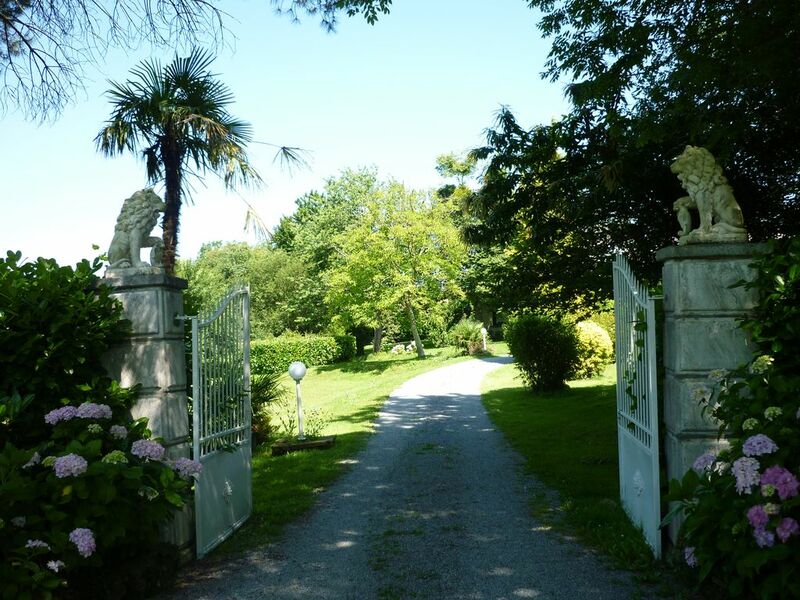 A property set in the middle of woods, 50 hectares , 20 km from Pau, 130 km from Biarritz . You will stay in a typical 18th century country house . Located in great wild outdoors ,this old restored farmhouse, today a beautiful lodge, will inspire you thanks to an exceptional and authentic setting . A warm and friendly welcome will be reserved to guests . This place has still got its traditional charm and character : typical grey stones and beams from Béarn Country . Woods , hills and meadows compose this quiet and lovely landscape . Several terraces , a large private swimming-pool (14/7 meters) , a big fitness room , wild footpaths will be at your disposal. Wifi internet connection . Animals accepted .